Racism has been on the agenda for the Commission since its foundation in the 1970’s. It is as insidious a problem now as it was then. Today it is more complicated because ethnicity, cultural background and religious affiliation are often conflated by the media. Most people accept that ‘Racism’ per se is wrong. So it pops up in all sorts of other ways. 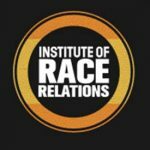 The British Social Attitudes survey of 2013 found that the proportion of Britons who admit to being racially prejudiced has risen since the start of the millennium, raising concerns that growing hostility to immigrants and widespread Islamophobia are setting community relations back 20 years. People of mixed race are twice more likely to be the victims of racial abuse than white people. The unemployment rate for ethnic minority groups has consistently been twice that of whites. Recent studies have suggested there are high levels of racial discrimination in the labour market. The percentage of people living in poor housing is higher for all ethnic minority groups than for their white counterparts. Is this an issue in your parish? CARJ is the Catholic Association for Racial Justice – an agency of the Catholic Bishops Conference of England and Wales. 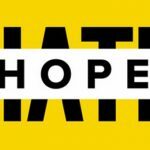 Hope Not Hate, founded in 2004, is dedicated to researching and exposing racism in the UK and to engaging with those who are attracted by fear and hate. If you need more detailed information about racism in the UK then this website has plenty to offer.